Helping you tell your story… Corporate videos can take many shapes and sizes depending on the audience and message points which need to be addressed. 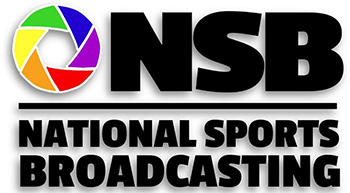 National Sports Broadcasting will work closely with each client in helping them refine their vision for their project. We enjoy the finding the best visual approach, style, tone and storytelling method to connect the right people to your story. Video is exploding, as more and more companies realize the importance of not only having a web presence but also creating a video presence on their website and on the internet. Pictures and text only tell half the story. That’s why video is more popular than ever and studies have proven that adding video to your website makes it more enticing and captivating to your customers and clients. By delivering exceptional, world-class film and video production along with specific integrated marketing solutions, we can meet a variety of business and commercial needs.